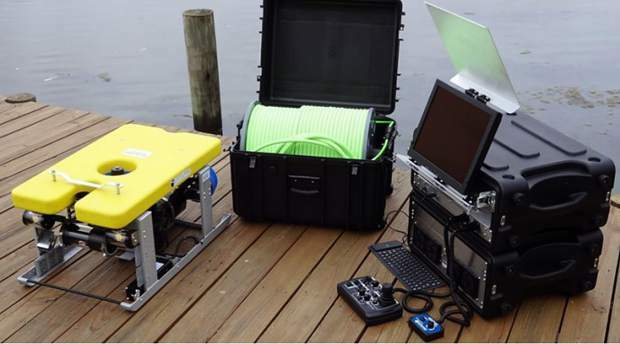 DCSO Marine unit operating ROV. 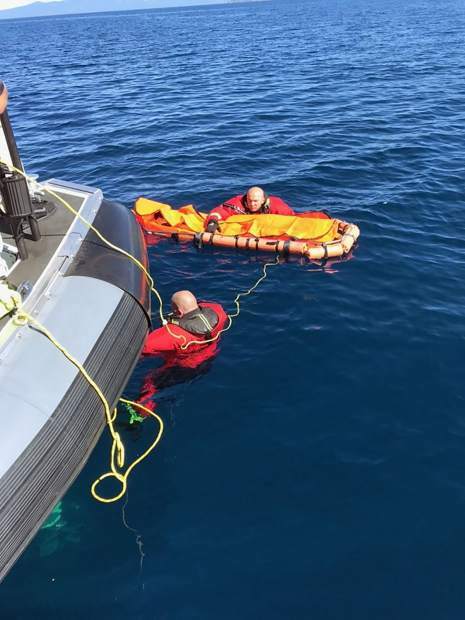 The body of a 33-year-old man, who dived into Lake Tahoe and then sank before he could be pulled to safety, was found in more than 1,000 feet of water on Monday, thanks to a submersible operated by the Douglas County Sheriff’s Office. Cameron Park resident Chaitanya Datla moved the U.S., obtained an MBA and had been working for an IT firm for just over a year when he came to Tahoe for a weekend earlier this month. According to witnesses, he dove into the lake without a life jacket and disappeared below the water’s surface on Sept. 9. On Monday, Douglas County’s Marine 7 used its recently acquired submersible to search depths that no diver could have reached to locate and recover Datla’s body — found at 1,062 feet. 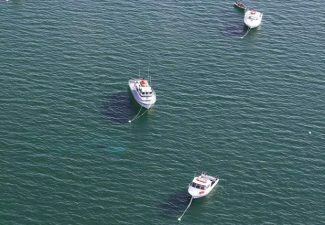 The recovery mission was unprecedented in Lake Tahoe, according to the sheriff’s office, because of the depth the body was recovered from. In 2017, search teams recovered the body of Reno football player Marc Ma and the body of San Leandro resident Dan Vu Thanh Pham. The two men went missing in separate incidents. Both bodies were found at a depth of approximately 240 feet. The lake reaches a maximum depth of 1,644 feet. 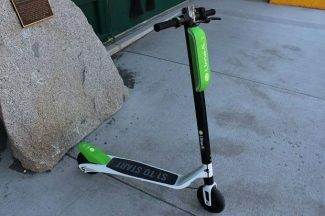 “The search and recovery effort was unprecedented in Lake Tahoe due to the extreme depths and the technology needed to facilitate this type of recovery,” the El Dorado County Sheriff’s Office said in a press release. The Douglas submersible was deployed for the first time this summer after the county received a donation to fund its $108,000 cost. Deputies recently completed ROV and SONAR training with Bruce’s Legacy, a nonprofit search and recovery group from Wisconsin. Bruce’s Legacy assisted both in the recovery of Ma and Pham, as well as the recovery of two bodies in Fallen Leaf Lake nearly one year ago. 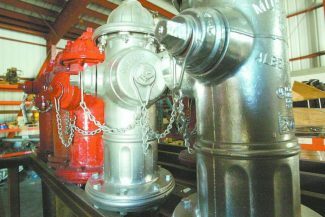 With 192 square miles of open water, families of those lost in Lake Tahoe have often had to wait years for special equipment to arrive and help recover the deceased. That’s because much of the Lake is too deep for divers to safely search. “As soon as depths start getting below that 100-foot mark, we start getting into higher risk operating with divers to conduct searches,” said Douglas County Deputy Steve Schultz, one of the crew of Marine 7. 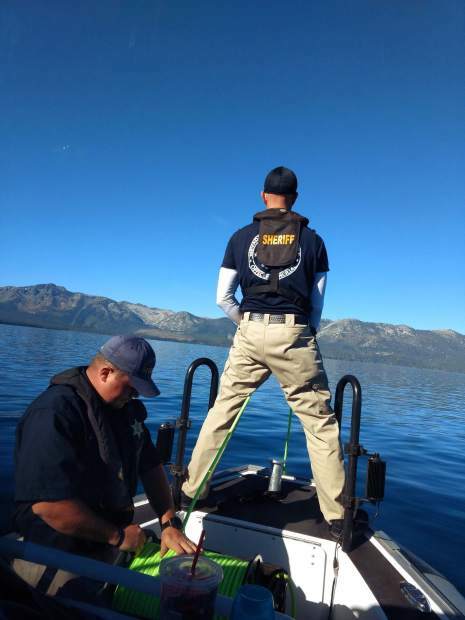 This is the second instance in two months where someone has jumped into Lake Tahoe from a boat without a lifejacket and drowned. On Aug. 4, a man was filmed doing a cannonball off the back of a boat in shallower water. While Marine 7 responded to the incident with the submersible, conditions were shallow enough to allow recovery of the body without its aid. Lake Tahoe is extremely cold even on warm fall days, and the shock of hitting the water can incapacitate a swimmer. A Go Fund Me account has been established in Datla’s name at http://www.gofundme.com/help-chaitanya-datla039s-family. 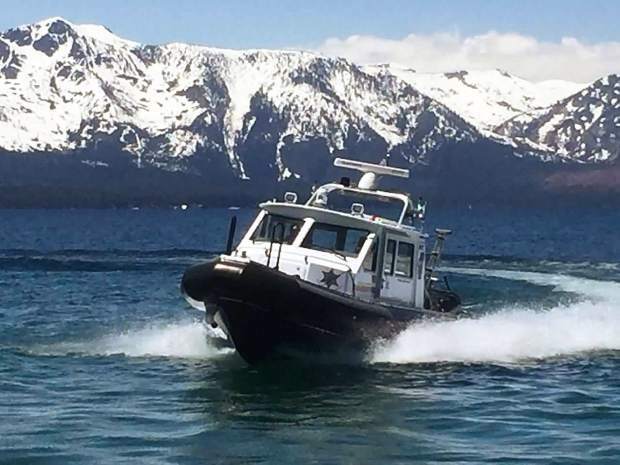 Douglas County Sheriff’s Office Marine Unit (Marine 7) recovered a body from a depth of 1,062 feet in Lake Tahoe on Monday. The recovery was made while searching for Chaitanya Datla, a 32-year-old man from Cameron Park who reportedly drowned the week prior, according to a press release from the El Dorado County Sheriff’s Office. Authorities are withholding the identity of the body recovered Monday until the family has been notified. Douglas County deputies recently completed ROV and SONAR training with Bruce’s Legacy, a nonprofit search and recovery group from Wisconsin. Bruce’s Legacy assisted both in the recovery of Ma and Pham, as well as the recovery of two bodies in Fallen Leaf Lake nearly one year ago. South Lake Tahoe Fire and Rescue Marine 17 responded to assist Douglas County Sheriff Marine 7 with the body recovery. The South Lake Tahoe Fire and Rescue Marine Unit was also donated by the same local resident that donated the ROV. “The El Dorado County Sheriff’s Office is extremely thankful to our partners around Lake Tahoe. This search and recovery would not have been successful without the private donations from a local resident, training by Bruce’s Legacy, and the assistance from the Douglas County Sheriff’s Office, South Lake Tahoe Police Department, South Lake Tahoe Fire and Rescue Marine Unit, the Tahoe Douglas Fire Marine Unit, El Dorado County SAR, Washoe County Sheriff’s Office Marine Unit, and the United States Coast Guard,” the release said. UPDATE: The original post was updated to include information about previous drowning victims.